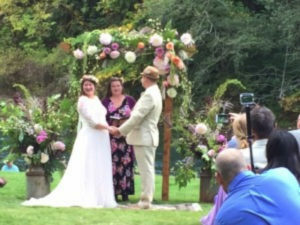 Congratulations to Laurel and Dave – the most recent Eagle Rock Lodge wedding couple! Great weather, great fun! Now they are off to Kauai for their honeymoon! Call us for more information about having your wedding or special event at the Lodge!